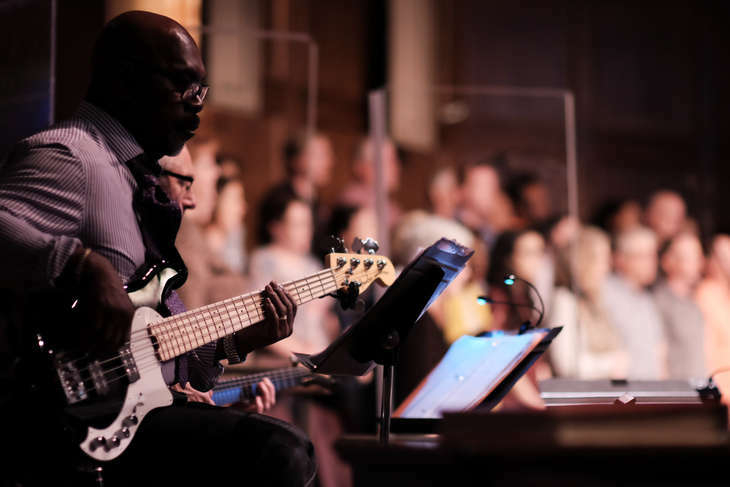 The Praise Band plays during the Contemporary worship services every Sunday, and accompanies the choir during all 3 services except the 1st Sunday of the month. Praise Band also performs during the Christmas and Good Friday Concert/Musical each year, and during other Special Services. Praise Band rehearsals take place on Tuesday evenings from 7:30 to 9:00 p.m. or Thursday evenings from 5:30 to 7:00 p.m. It is preferable that Praise Band members be able to read chord charts. We are always accepting new band members! Send us an inquiry below with your interest, what instrument you play, and your proficiency level (intermediate, advanced, professional). The Praise Band Director will contact you to set up an audition. Praise Band members must be in High School or older.